Sue Simpson is the first point of contact at In2Learning when your child comes for their free assessment. Having assessed hundreds of students, she has the knowledge to identify the most common barriers to learning and to recommend the best course of action. Once the assessment is complete, we prepare an individualised learning programme based on your child’s needs and learning style. This means your child receives tailored tutoring that provides the very best long-term outcomes. In2Learning gives students the confidence and ability to become self-motivated learners who achieve their potential. Once the child understands the skills and curriculum, they rapidly gain confidence in themselves and their abilities. This, in turn, increases their self-esteem, giving them the certainty that they are capable of succeeding. Sue is a trained high school teacher who is passionate about Maths. She is ably assisted by three great primary school teachers who love to challenge and encourage their students and watch them grow. Tuition is available for year 2 to year 13 students in Reading, spelling, comprehension, writing and Maths. NCEA subjects include Maths, English, Science and Biology. Whether your child is behind and wanting to catch up, already achieving and wanting to excel or somewhere in between, In2Learning can help. To provide further practical means of improving learning, Sue is also a licensed Irlen screener and provider of the Cellfield treatment for dyslexia. Click below for more information about these options. If you are looking for tutoring in Balclutha, contact us to discuss your child’s needs. We are happy to conduct an assessment to see what their needs are and how we can help. 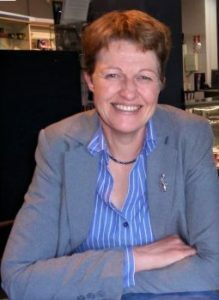 Sue Simpson B Sc, Dip Tchg, M Ed.